In a non-stick frying pan, brown ground beef (see video tip below) in medium heat while breaking it apart. Then add bell pepper and onion. Continue to cook for 3 more minutes then remove from heat and set aside. In a baking dish, mix sauce and milk until well blended. Then add beef, bell pepper, onion, and rotini. Mix ingredients well. Bake in oven for 20 minutes. 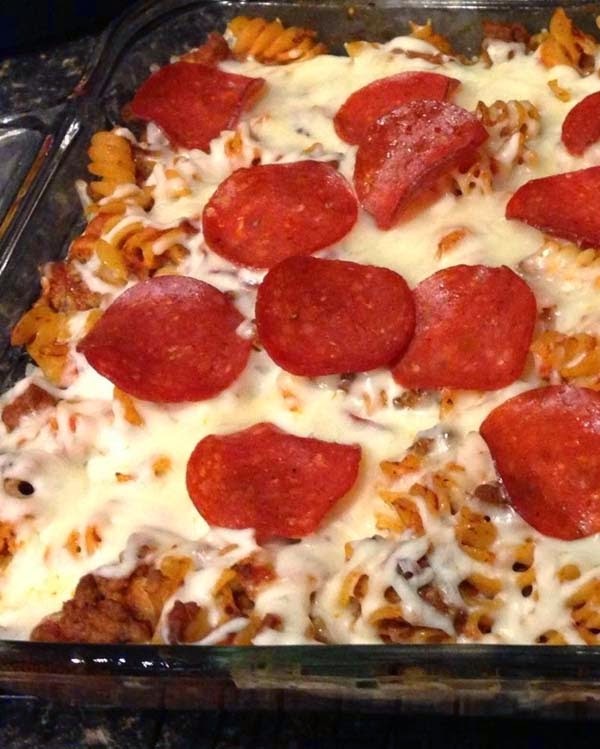 Then remove from oven, top with shredded cheese and pepperoni slices. Bake for 5-8 more minutes.